yet receives her finishing touches from learning." How do you conclude a Functional Integration® lesson? This question matters because there are at least two ways that the closing moments of an FI® can make or break the lesson. First, this is a critical moment for the transfer of learning. To bring what happened in the FI forward into the student’s daily life, the teacher needs to be adept at the fine art of facilitating learning beyond the lesson. Secondly, there's how a student goes from lying on your Feldenkrais® table to sitting and then to standing. In the blink of an eye, these transitions can diminish or even wipe out everything that just happened. On the other hand, the journey to verticality can reinforce and enhance the changes that began during the lesson. 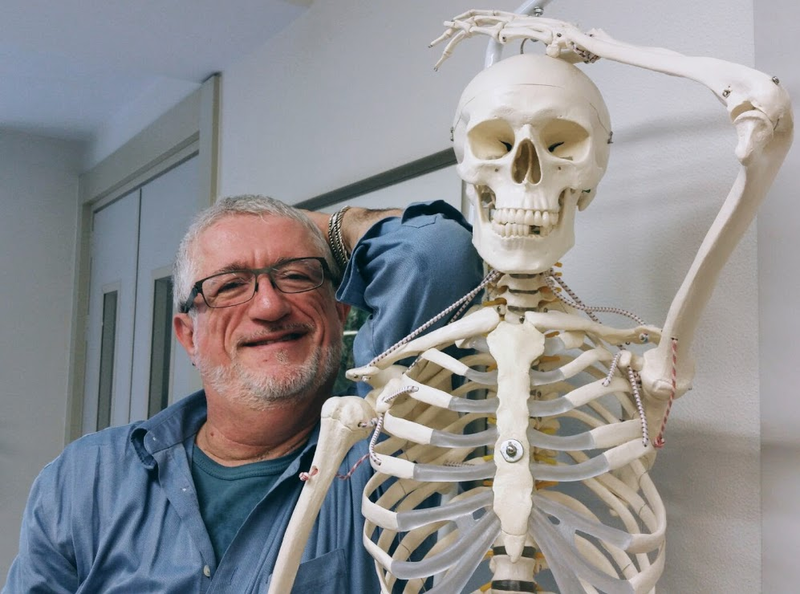 Feldenkrais trainer and teacher Larry Goldfarb has been addressing learning beyond the lesson for more than twenty-five years in THE TRILOGY, his acclaimed foundational postgraduate course. However, he's never unpacked the skills a teacher needs to bring a student up from lying on the table. Until now . . . Apply the genius of judo to moving students with ease. Improve your self-use and efficacy. Find and follow the path of least resistance. Faithfully fortify an FI’s effect.